There are football clubs around the world who are defined by a single incredible result or one remarkable season. Once Caldas winning the 2004 Copa Libertadores. Alcorcón beating Real Madrid 4-0 in the Copa del Rey in 2009. Hereford United knocking Newcastle out of the FA Cup in 1973. Decades pass and what was once the physical – stretched muscles, crunching challenges, tireless chasing – metamorphoses into a folklore that will never be forgotten or topped. Berwick Rangers are another such club, and their day came on the 28 January 1967. 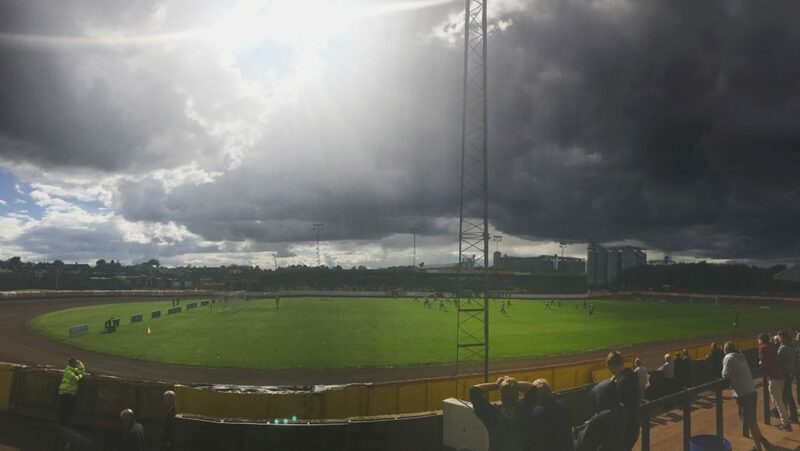 Glasgow Rangers, the holders of the Scottish Cup and battling with Celtic for the Scottish title, came to Shielfield Park and lost 1-0 to Berwick’s team of part-timers. It was Rangers’ first ever defeat by a lower-league side and featured abiding club servants Ronnie McKinnon, Davie Provan and John Greig in defence. It’s a result Berwick have never bettered. Seldom, if ever, do the Black and Gold enter the wider consciousness. Yet in a remote corner of Northumberland, a few hundred fans still attend their matches in Scotland’s League Two. Like any other club, their identity is bound up with that of the local geography. If the average person knows anything about Berwick Rangers, it’s that they’re the only England-based outfit to play in Scotland. It’s for this reason that Shielfield Park is known as an almost mythical 93rd Football League ground for travelling anoraks. 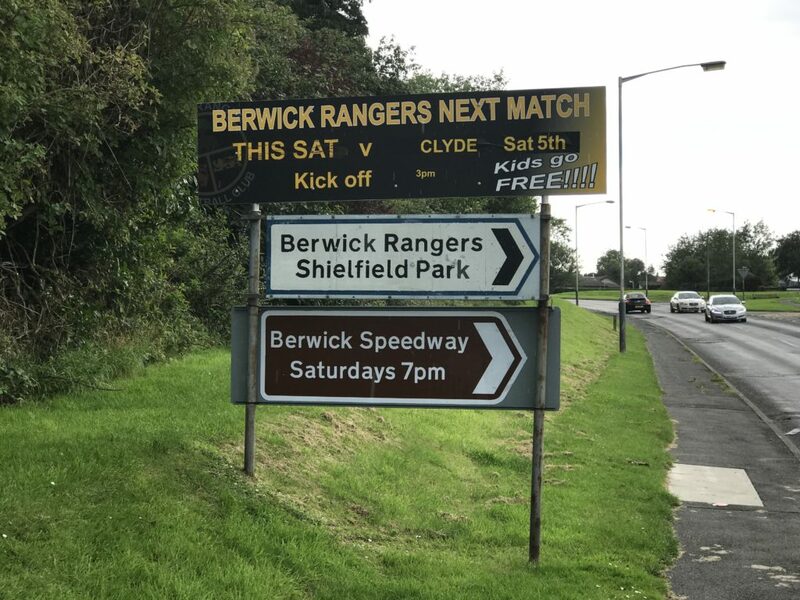 Given their attendances of around 400 or so, Berwick – miles away from even the non-league sides of Tyne and Wear – almost certainly couldn’t exist as a professional outfit in the English football pyramid. At present they can compete with Montrose or Stirling Albion, or hope for another historic day against Celtic or Rangers in the cup, but in England they would probably be playing teams like South Shields. The unique history of the town plays a part in their participation in Scotland, but above all the arrangement just makes logistical sense. Berwick-upon-Tweed is located at the tip of Northumberland, the most sparsely populated county in England. This isolation cuts to the core of Berwick Rangers. The surrounding area is scenic, but nearby towns are few and far between. In a footballing context, their remoteness naturally means few local rivals, something which is so often the crux of a football club’s identity. 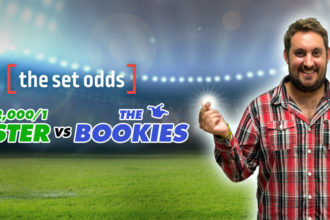 Instead, Berwick are labelled “English bastards” by whoever they play – a polarity not with one club, but each and every one of their opponents. Rivalries in football often have a socioeconomic grounding, but Berwick represent a national divide that’s rarely relevant to the club game. As is usually the case with tribalism, such differences can be arbitrary, diminished over time or overstated in the first place. Fan bases often have more in common than they would like to admit. 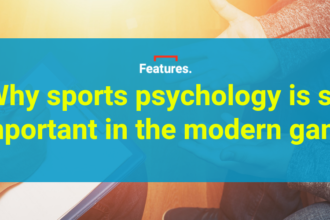 Identification often comes with family ties, on-pitch success and collective memories, as opposed to any sense of ethos or symbolic value that a club might have been founded with over a hundred years ago. Take the “English bastards” taunt, which ignores the fact that many of Berwick’s fans identify as Scottish. 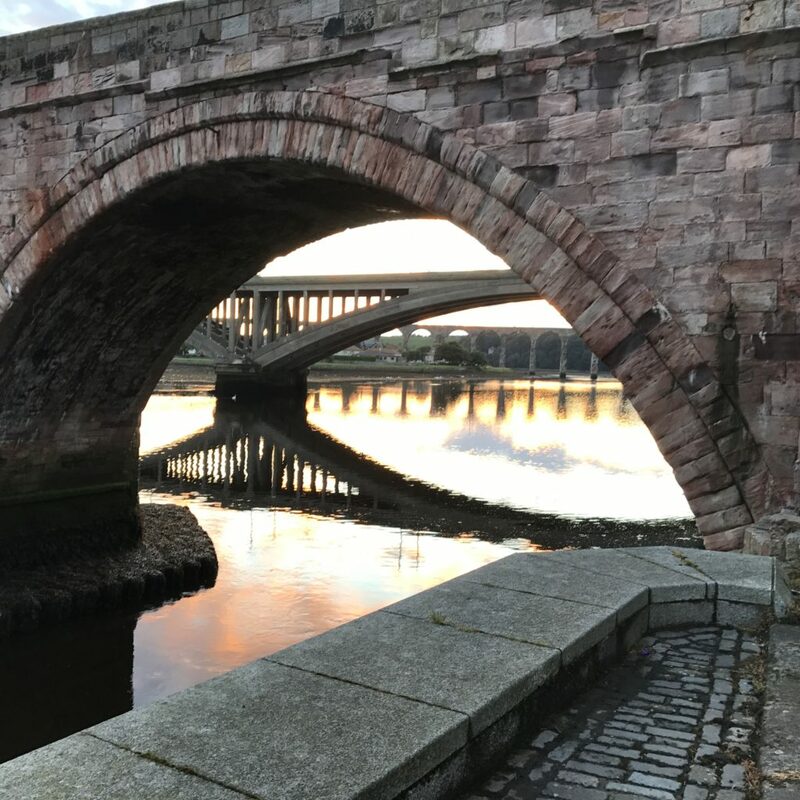 An online poll in The Berwick Advertiser saw 78% of voters back reunification with Scotland, while an informal referendum revealed that 60% would prefer Berwick to be classed as Scottish. You’re just as likely to hear “pish” in the terraces at Shielfield Park as any anglicised profanity. Located just four kilometres from the Scottish border, the town has always been a litmus test for Anglo-Scottish relations. During Euro 96, ITV sent reporters to Berwick to cover the varied support as England played Scotland. In the lead-up to the 2014 Scottish independence referendum, the New York Times covered the small town’s peculiar situation. “The referendum was a hot topic in Berwick, just like it was throughout Scotland,” says Tom Maxwell, a lifelong Berwick and England supporter and chronicled their history in Lone Rangers: An English Club’s Century in Scottish Football. “Although Berwick isn’t in Scotland, its proximity to the border and the fact that a good number of its residents identify themselves as Scottish means that an independent Scotland would have repercussions for the town. 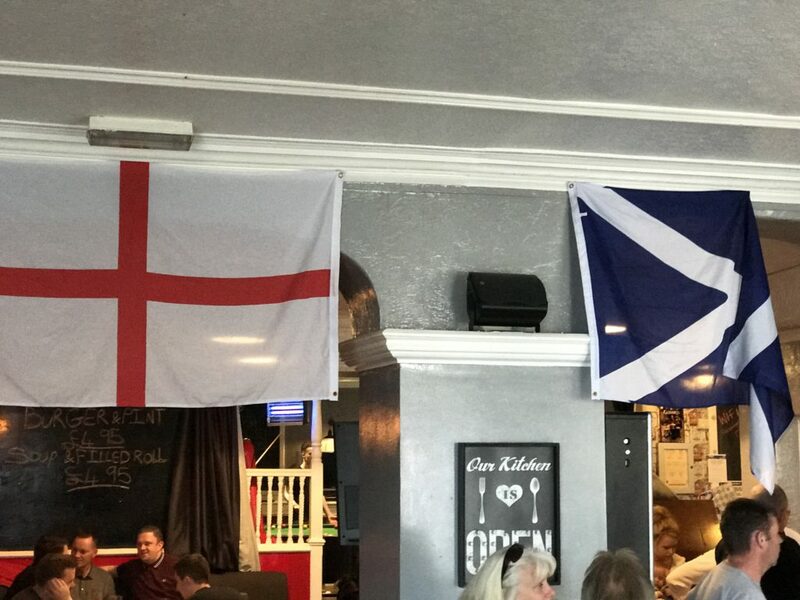 Through the prism of a Borderlands football club, Maxwell’s book provides a fascinating insight into the relationship between the neighbouring countries, describing that Scottish Berwick fans will respond in kind to any disparaging references to being English. Maxwell details one incident which took place at the height of tensions in the 1980s, explaining how a Berwick fan taunted Cowdenbeath supporters by waving a wodge of cash and singing “there’s only one Maggie Thatcher” as her regime destroyed livelihoods in their town. Like any other Northumberland town, Berwick is picturesque, small, steeped in history and quiet, albeit with a steady flow of visitors. Matchday will see a stream of pre-match drinkers visit Barrels Alehouse, The Curfew Micropub and The Brown Bear before walking across the bridges of the River Tweed to the ground. Like everywhere else in the UK, trouble is now largely limited to verbals. The current side is mostly made up of Scots; either local lads or those who have come through the academies of teams on the other side of the border. The matchday experience has a decidedly non-league feel – cash turnstiles, cheap tickets and a sense of familiarity and community. When striker Ouzy See suffered a serious leg break in a recent match against Montrose, hampering his ability to carry out his day job as a tiler, fans raised over £2500 in support. 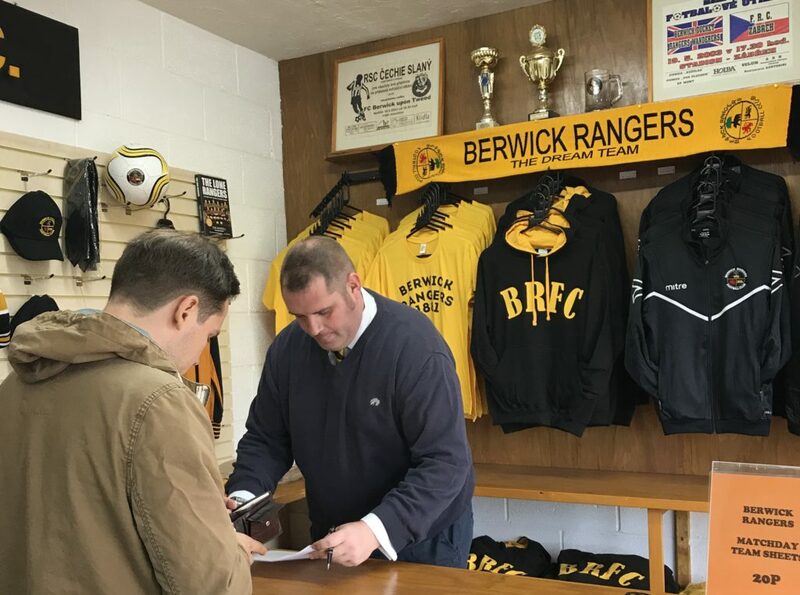 For clubs like Berwick, the threat of dropping out of professional football constantly looms. They’ve spent the last 10 seasons in Scotland’s fourth tier and have flirted with relegation on several occasions. The season before last, they finished just five points clear of Cowdenbeath in last spot. 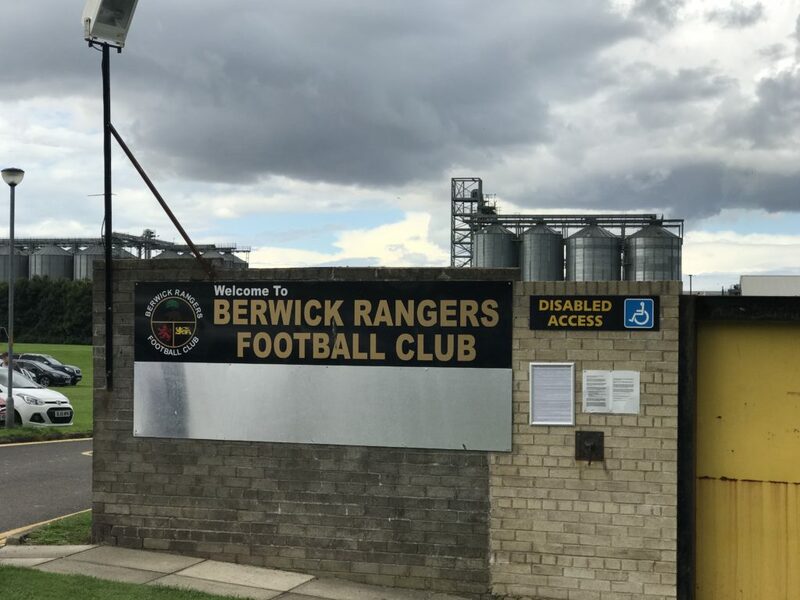 With a play-off against the winner of the Highlands or Lowlands leagues to secure senior status, a bottom-placed finish is something Berwick might never recover from. “It would be incredibly damaging, says Simon Pryde, a BBC journalist and Northumberland native who’s followed Berwick for years.